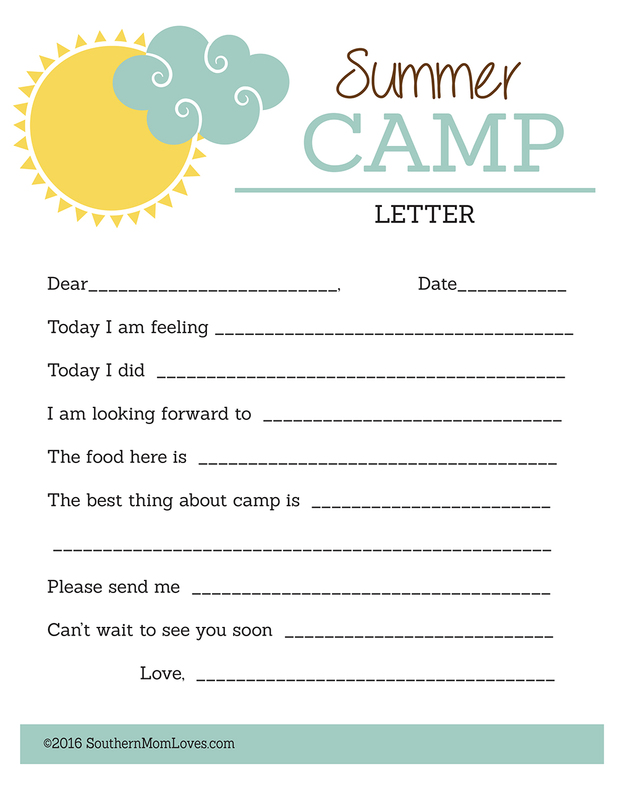 Southern Mom Loves: FREE Summer Camp Printables for Kids! 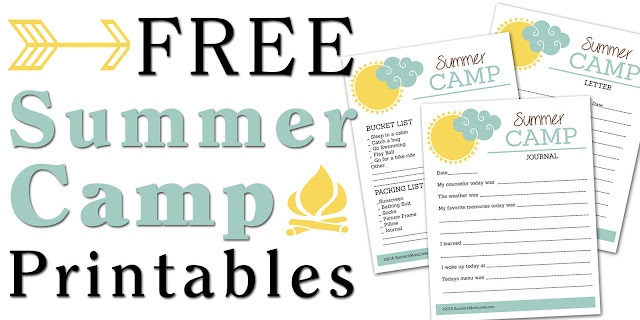 FREE Summer Camp Printables for Kids! Summer is here and for all those parents with children going off to summer camp, I have some fun (free!) 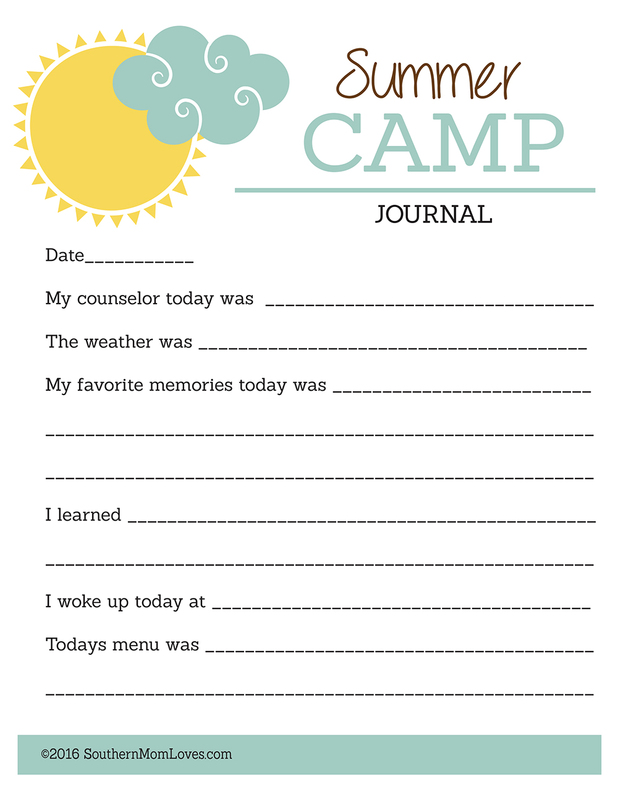 printables for you! 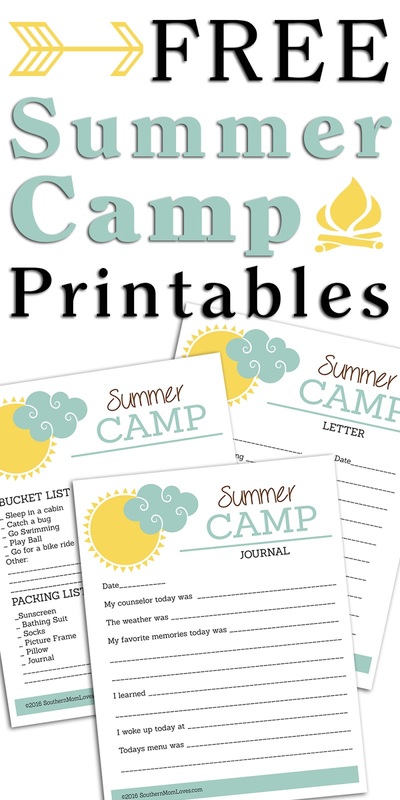 These printables are a fun way to make and save those precious summer camp memories. To print these out, just right-click on each image below and choose "Save Image As..." to download it to your computer and print as many as you need of each sheet. There is a Bucket List/Packing List. You can also get the pdf here. A daily Journal page. Get the pdf here. And a pre-formatted Letter. Get the pdf here. 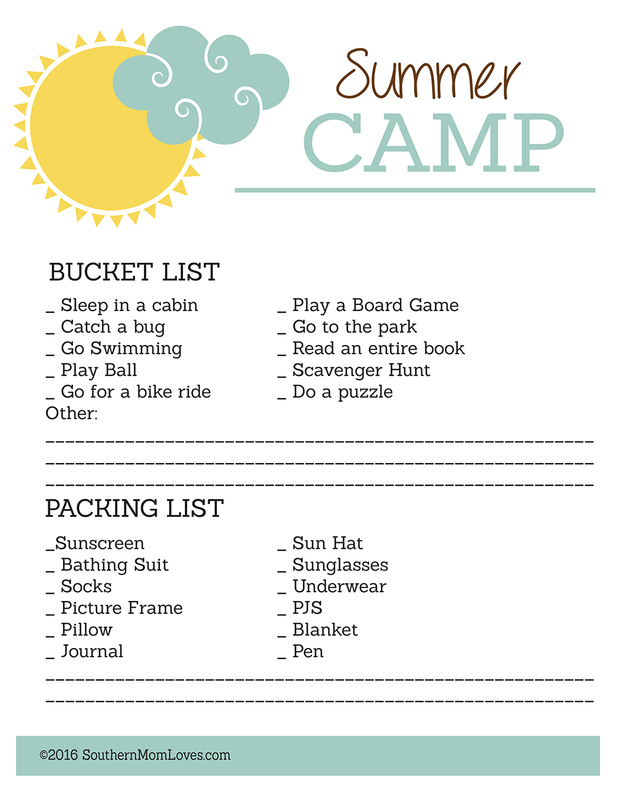 Do you have kids going to summer camp this year? Are they excited? I love to read your comments!